Cherish Each Precious Day: Scor-Pal Challenge - Mid-month reminder! Scor-Pal Challenge - Mid-month reminder! duplicate this technique on your next get well or thinking of you card. Using your Scor-Pal, score your A2 card at 4.25". 'get well soon'. 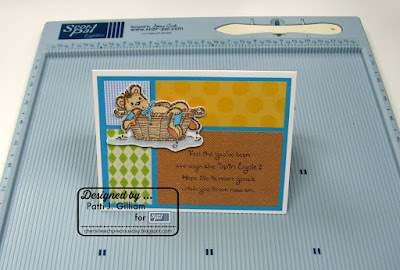 Next, decorate card front as desired. 1.5", 3", 4.5", and 6". Your box is beginning to take shape! Add 1/4" Scor-Tape to your tab. and create an opening for your tissue. a strip to the box bottom. firm, and needed no adhesive, but you may find that you want some. That's that - easy peasy, right??? Hope you'll give it a try! are very few entries so far. YOU could win some shopping fun at the Scor-Pal store! Link up your interactive card - make something fun that flips, flaps, or pops! I just love this so much!!!!!! 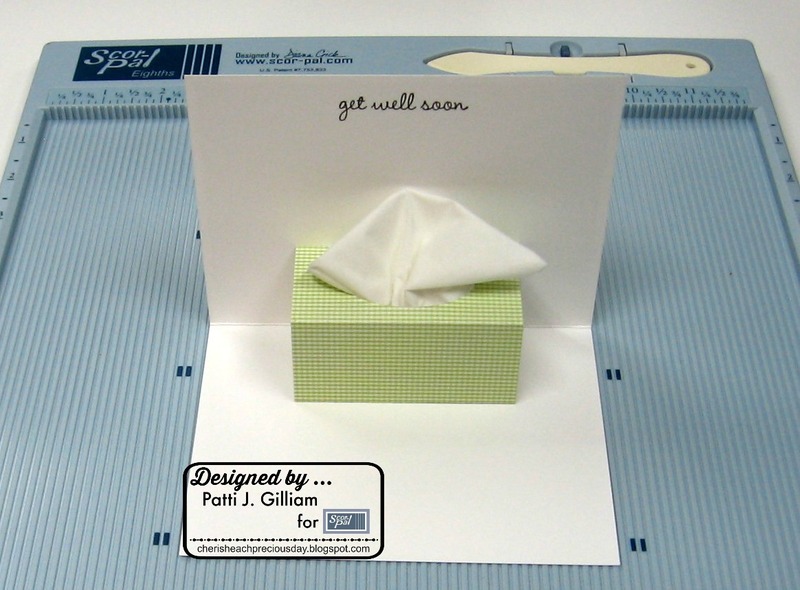 This is such a cute card, Patti. Thanks for the tutorial. I hope you and your family have a blessed Easter! Patti, your tutorial is so easy to follow. You do great work doing tutorials. I think your card is so adorable. Hugs. Awesome card and what a really cool surprise inside for the receiver. Nice job, and thanks for sharing the instructions. Ha1 Love it! Thanks for sharing how you did it!